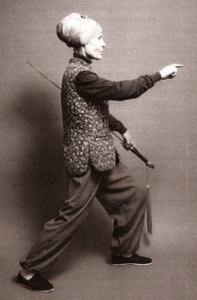 1970-72: Tricia Yu studied Tai Chi and Taoist meditation with Taoist Master Liu Pei Ch’ung in Taiwan. Fluent in Chinese and married to Bob Yu, she had the fortune of being the only non-Chinese person ever study with Master Liu. Mediation 40 minutes per day was required as part of daily Tai Chi practice. 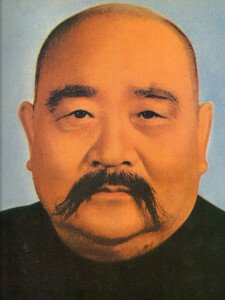 Master Liu had thousands of disciples. A Chinese doctor, healer, and mystic, he was reputed to be able to see anything he focused on, regardless of location. A Dian Kung Master, Tricia often saw him move people without touching them. He had 75 serious Tai Chi and meditation students. His meditation involves a process for merging awareness with the earth, the heavens (cosmos, spiritual connections) and the greater circle of life. This daily practice reinforces our sense of oneness and helps cultivate our full potential as humans. He was 89 years old when Tricia began studying with him and died at the age of 94 in 1975. 1974-Present: Senior students of Cheng Man Ch’ing in New York began traveling to Madison and Milwaukee in 1974. During the early years, Tricia Yu studied with Tam Gibbs, Fred Lehrman, Patrick Watson, Ed Young, and later with Robert Smith, Abraham Liu, Kim Kanzelberger, Laura Stone and Lenzie Williams. Qi Gong teachers include Wei Mo Zhu, Li Jun Feng and Paul Gallagher. 1979-Present: Grandmaster Benjamin Pang Jeng Lo, a world famous Master, was a student of Grandmaster Cheng Man Ch’ing in Taiwan 1950’s-60’s. He is translator of the Tai Chi Classics and called “Conservator of Tai Chi Tradition” by Journal of Asian Martial Arts. Tricia Yu began study with Master Lo in 1979 and organized his first Midwest camp in 1980 which continued until 2013. 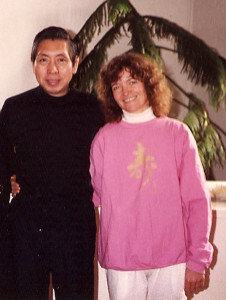 Master Lo certified Yu as a lineage instructor in 2003. Benjamin Lo’s Five Basic Principles: Relax, Keep Body Upright, Separate Yin and Yang, Move from the Waist, Keep Fair Lady’s Wrist. 1986- Present: Grandmaster William C.C. Chen, a worldfamous Master, was a student of Grandmaster Cheng Man Ch’ing in Taiwan 1950’s-60’s. He was named Inside Kung Fu’s Man of the Year 2000. Yu has studied with him since 1986. 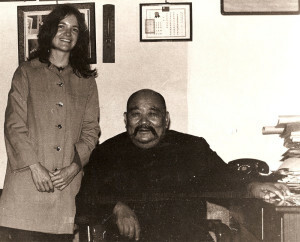 Master Chen certified Yu as a lineage instructor in 1996. Grandmaster William CC Chen’s Objectives for Tai Chi Practice: Simple, Easy, Natural, Enjoyable, Productive. 1982-1999: Maggie Newman, Tai Chi Master Teacher and former Paul Taylor Dancer, she was a Senior Student of Cheng Man Ch’ing in New York 1960s-70s. Beloved by her students in New York and Philadelphia, she has taught throughout the US for decades. This video was taken on Super 8 film after Tricia Yu returned home from living in Taiwan 1969-72 where she studied mediation with Taoist Master Liu Pei Ch’ung and Tai Chi with his advanced students. She started training with Cheng Man Ch’ing lineage instructors in the USA two years later in 1974. The next two group photos were taken at the 1980s Midwest Camps with Ben Lo. Ben Lo’s Midwest camp 1981. From left, group includes 1st row: Steve Haydu, Michael Milewski, Bob Goodwin. 2nd row: Gale Bartels, Peter Gebhardt, Lisa Ferrante, Ben Lo, Bill Meyers, Mark Ahles. Standing: Ken Wilkening, Pete Schlipman, Eileen Mahoney-Johnstone, Sherrod Milewski, Tricia Yu, Patricia Culotti, Don Radke. 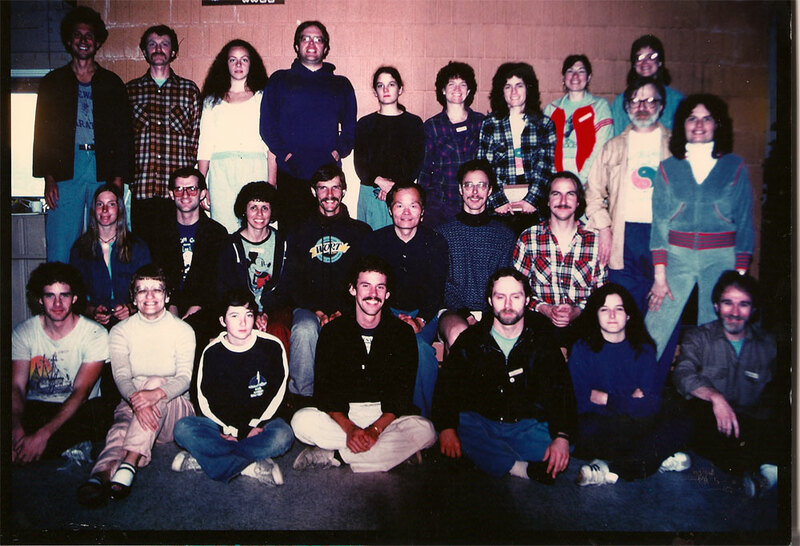 Ben Lo’s Midwest camp 1984. From left, group includes 1st Row: Weber Ingersoll, Bill Meyers, Vicki Berenson, Lisa Ferrante, Sherrod Milewski, Patricia Culotti, Julie Burko, Lee Scheele. Seated back: Michael Meyers, Jackie Kampman, Mark Blagec, Tricia Yu, Gale Bartels, Ben Lo, Wesley Miller, Mike Dorsey, Judy Steininger. Standing: Pete Schlipman, Kim Kanzelberger, Don Radke, Michael Milewski. 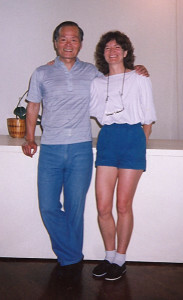 Tai Chi Center with Tricia Yu 1974 – 2005, now student-owned by Doug Brown Tai Chi Center of Madison. Outreach: 12,000 enrollments over 31 years (annual average: 375). Traditional Curriculum: Cheng Man Ch’ingYang Style Tai Chi, Yang Style sword form, push hands, Taoist meditation, Qigong. Adapted Curriculum since 1996: Tai Chi Fundamentals Program®, ROM Dance® Program. Ongoing Link to Tradition: Promotes lineage standards & practitioner network; organizes regional and local trainings with Masters Benjamin Pang Jeng Lo, and William C.C. 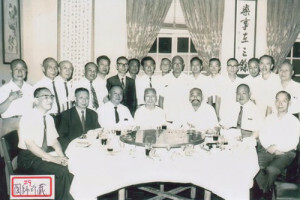 Chen, Maggie Newman and other lineage instructors. The Tai Chi Center was on the evening news in 1988.